The Downtown district is a thrilling neighborhood defined by powerful contrasts. It is a place where odds seems to meet: the oldest and foundational buildings in town share the block with skyscrapers; businessmen walk side by side with tourists herds and political manifestants. On a surface no bigger than 140 acres, the most relevant civic institutions, financial corporations and historical landmarks coexist, creating a strongly heterogeneous landscape. 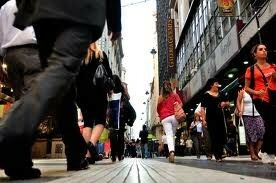 The first impression you get while walking around is that everyone is in a rush. During office hours the streets pace is quite intense, but after darkness comes, the neighborhood falls in an exceptional silence- despite the few active avenues and pedestrian streets, where office workers make a stop in their way home, persuaded by the daily happy hour deals. 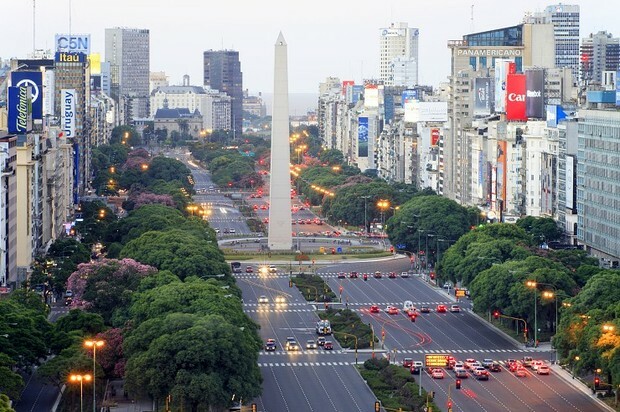 Undoubtfully staying in Downtown provides a strong and tasteful experience of Buenos Aires. It is a particularly attractive option for those visiting the city with business purposes. Nevertheless it offers a strategic location for tourists as it offers easy access to a great number of must see porteños places. The heart of the city center is Plaza de Mayo. 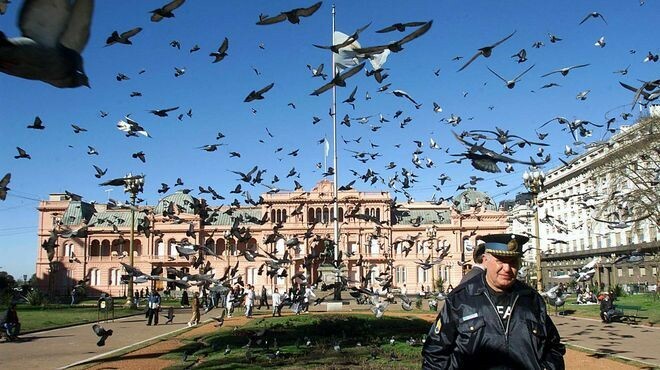 It is Buenos aires central square and argentinas favorite arena for political events. First laid in 1580 on its sides are located the symbols of power: the local white (pink) house, the National Bank, and the Cathedral. Connected to the Parliament and Court house, by some of the most representatives avenues of Buenos Aires (Avenida de Mayo & Diagonal Norte), the imaginary triangle delimited by these Institutional building defines the area where the destiny of the nation is casted. For those willing to visit Buenos Aires foundational areas, Manzana de las Luces(Block of Enlightenment) is the place to go. 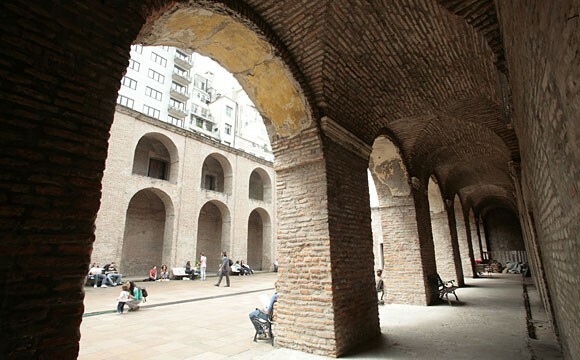 Close to Plaza de Mayo, this ancient complex of buildings includes a university- built by Jesuit missionaries in the early 1700s- and the Iglesia de San Ignacio, BA’s oldest church. What makes this place quite intriguing is the fact of being connected to nearby buildings by a series of underground tunnels. 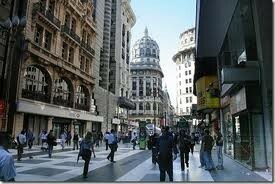 Another must see point is avenida Corrientes, considered the local version of the new Yorker Broadway avenue. 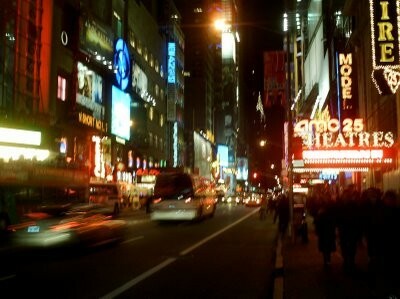 Neon lights, big theather productions and all night open cafes are the main feature of the street. 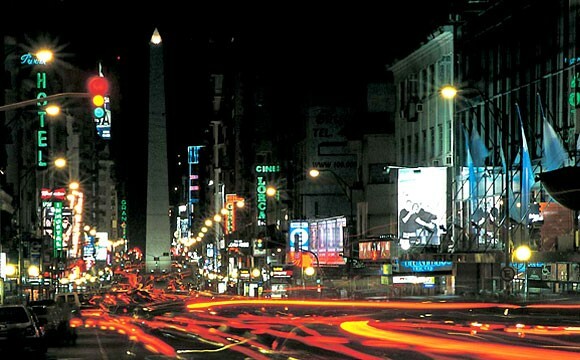 In the intersection of Corrientes and 9 the Julio the obelisc is set, configurating one of the most iconic views of the city. When travelers look for souvenir adquisition they ussualy visit Florida Street, a commercial pedestrian street wich offers a great variety of leather goods. 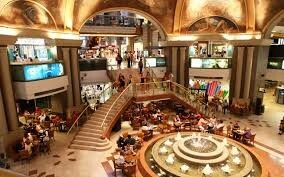 But those who seek for a fancier shopping experience, prefer Galerias Pacifico, a chic shopping center located in the intersection of Florida and Avenida Cordoba. Covering an entire city block, this beautiful French-style mall dates from 1889 and boasts vaulted ceilings with paintings done in 1954 by muralists Antonio Berni. Last but not least, the Colon theater is the ultimate architectonic jewel of the citycenter. Started in 1880 and finished in 1908, the Teatro Colón is a major landmark and gorgeous world-class facility for opera, ballet and classical music. 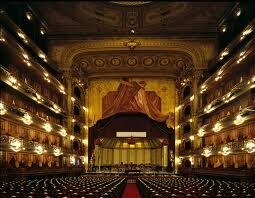 Worldwide known, artist from over the globe are invited to play in this majestic music house.